A former president, two judges, four lawmakers and the police chief conspired to instigate a coup with a Supreme Court order for the release of nine prisoners, the Prosecutor General’s office said Tuesday night, revealing charges against 11 suspects. High-profile detainees arrested under emergency powers last month have been charged with terrorism over an alleged plot to overthrow the government. According to the PG office statement, MVR350,000 (US$22,700) and US$3,300 in cash were found under Hassan Saeed’s mattress. A Villa company letter signed by Siyad on US$2.4 million released for the purchase of properties overseas was found inside a bag in his room. Siyad’s fingerprint was lifted from the letter and a forensic analysis confirmed his signature whilst a photo of the letter and an explanatory note were found on his phone. 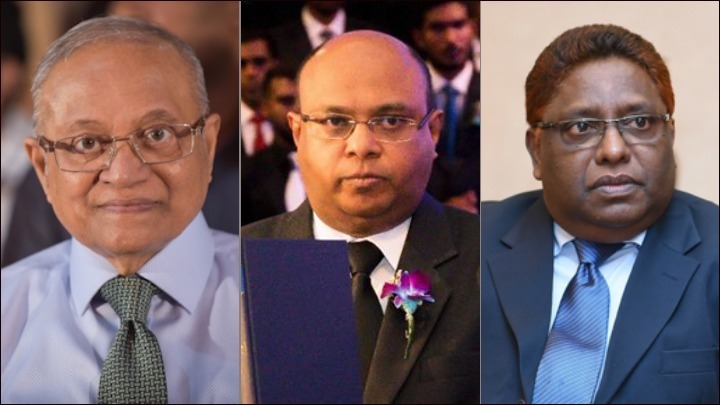 The beneficiaries were Chief Justice Saeed, Ali Hameed’s son and the judicial administrator’s ex-wife. The two judges and Hassan Saeed – who heads the department of judicial administration under Supreme Court supervision – were alleged to have travelled to an unnamed country to inspect the properties and discuss the estate deals. 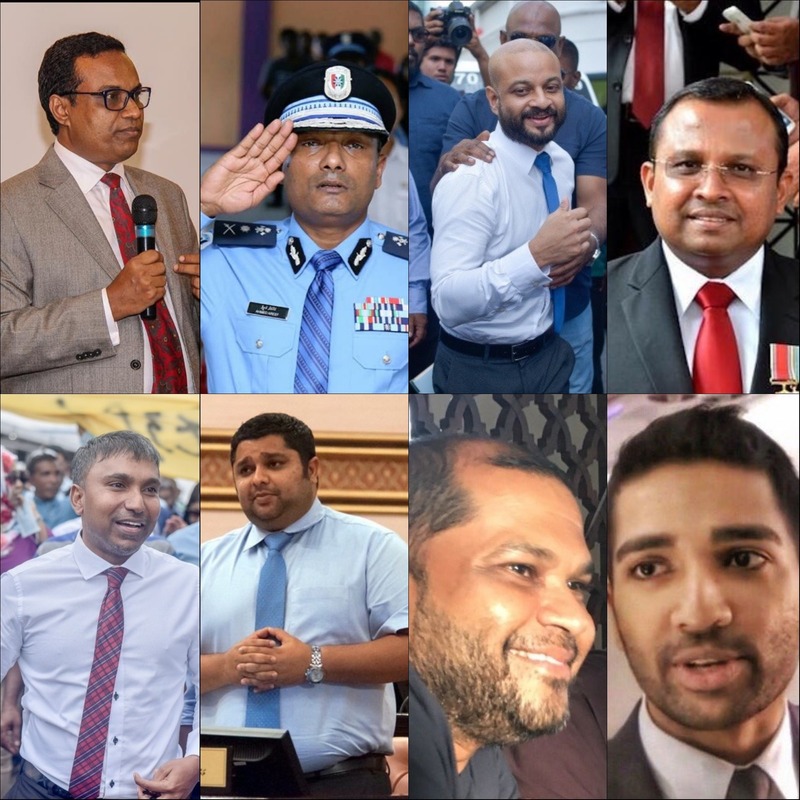 While the bribery allegations were previously disclosed by police, the PG office claimed to have further evidence on the bribery of lawmakers and undue influence exerted over court decisions. 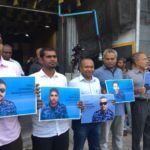 The February 1 order for the release of prisoners and reinstatement of opposition lawmakers was part of a “premeditated plan” to remove President Abdulla Yameen from office, it said. 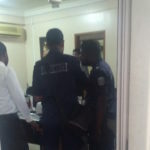 Areef, who was sacked after he tried to execute the order, was accused of trying to incite unrest by making changes to police operations and bringing together selected individuals to confront police officers on duty. Eight Special Ops police officers were also detained on coup plot charges last month. 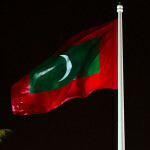 The Maldivian ambassador to Sri Lanka told the foreign press Tuesday that investigations are continuing into 38 people still in custody. Gayoom and the Supreme Court justices were charged with obstruction of justice for refusing to hand over their mobile phones. 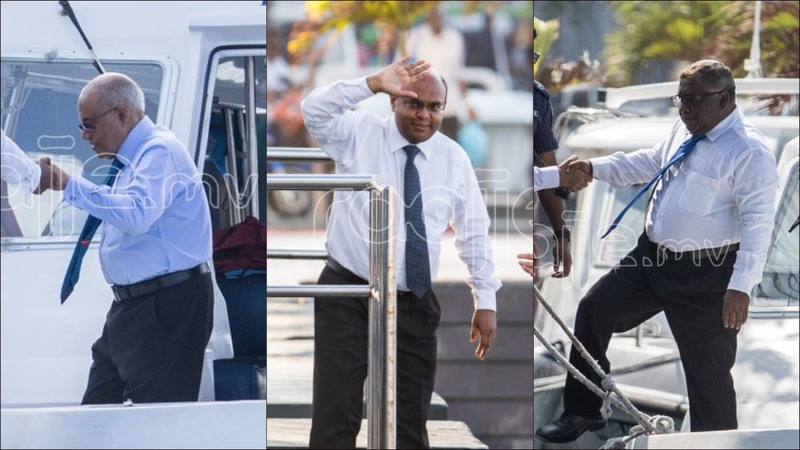 Gayoom, Hameed and MP Ilham were brought to court Tuesday afternoon with the 45-day state of emergency due to expire this week. 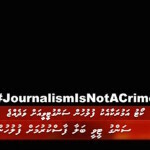 The court ordered Hameed and Ilham to be detained for the duration of their trials. But Gayoom’s hearing was cancelled after the 80-year-old was kept waiting for more than seven hours. Lawyers said they went to court expecting remand hearings but the judge started preliminary proceedings for terrorism trials. 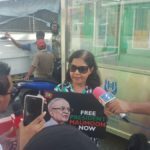 Gayoom’s family and opposition supporters waited outside the criminal court as he was brought to Malé from the Dhoonidhoo detention island.